Astra Armbrister-Rolle | HOPE Global Forums | Presented by Operation HOPE, Inc.
Mrs. Armbrister- Rolle is a fundraising professional in the non-profit sector specializing in annual giving management, prospect development and donor stewardship. She is a graduate of McMaster University in Hamilton Ontario Canada and a member of the American Association of Fundraising Professionals. In her prior role as Director of Development, Mrs. Armbrister- Rolle managed the portfolios of implementing the Bahamas National Trust’s (BNT) fundraising strategy, overseeing membership and grants programmes, coordinating volunteer leadership for the BNT’s fundraising efforts and major campaigns. 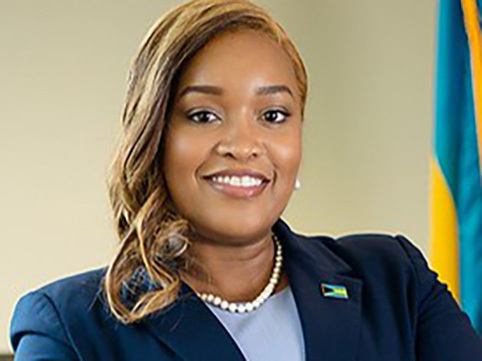 Since returning to The Bahamas Mrs. Armbrister-Rolle has served as a council member for the FNM Torchbearers Youth Association and is an active member of The Bahamas Toastmaster programme. Embracing her family heritage and as a descendant of Acklins Island Mrs. Armbrister-Rolle is an executive member of the Acklins Trade and Development Association and a member of the Lovely Bay Development Association where the work of both organizations assists the residents of Acklins Island with economic opportunities and seeks to develop the island. Her hobbies include public speaking, cooking and reading. After leaving The Bahamas at the tender age of 15yrs Mrs. Armbrister-Rolle made a promise to her parents and family to return home and help to make The Bahamas a better place. She firmly believes that in order to see the change we desire, you must first make the commitment to be the change you wish to see.